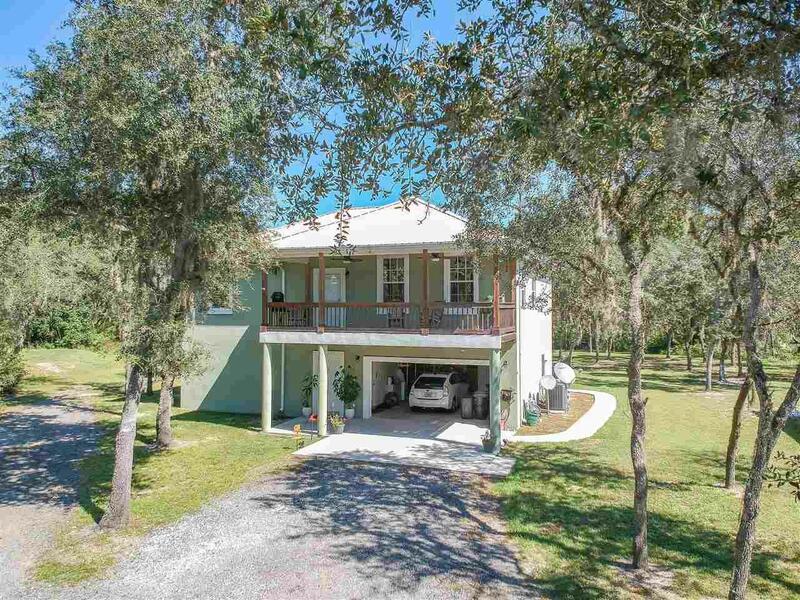 Beautiful Custom Built concrete home on over 11.9 acres! Tons of upgrades and special features, 2 car garage Plus 3 car carport, PLUS a 40ft X 50ft steel workshop! Workshop includes a 1 bedroom efficiency complete with kitchen. Multiple outbuildings ( see attached list). Energy efficient 2 story poured concrete built to last Live allergy free with tile and Pergo floors throughout. All windows are high impact hurricane with solar film coverings. 27' X 10' 2nd floor deck overlooking property. High tech security system has 4 separate cameras on hard drive that record over a month before looping. Bike path runs on west side of property. Dog Branch creek runs along the rear of property. Spray insulation allows the attic to stay at a comfortable temperature year round. 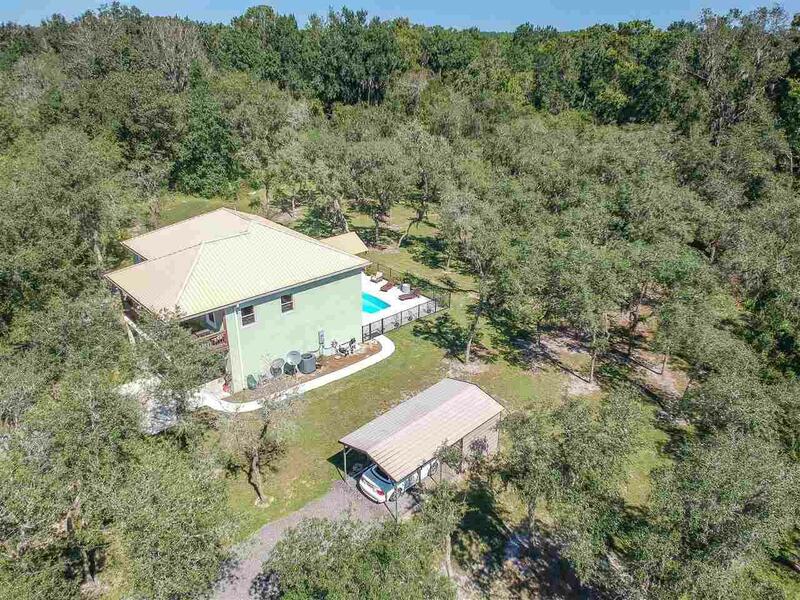 46X30 Pool deck with auto fill salt water pool and a 15X30 covered outdoor living/dining area surrounded by a black wrought iron fence and overlooking a live oak hammock. 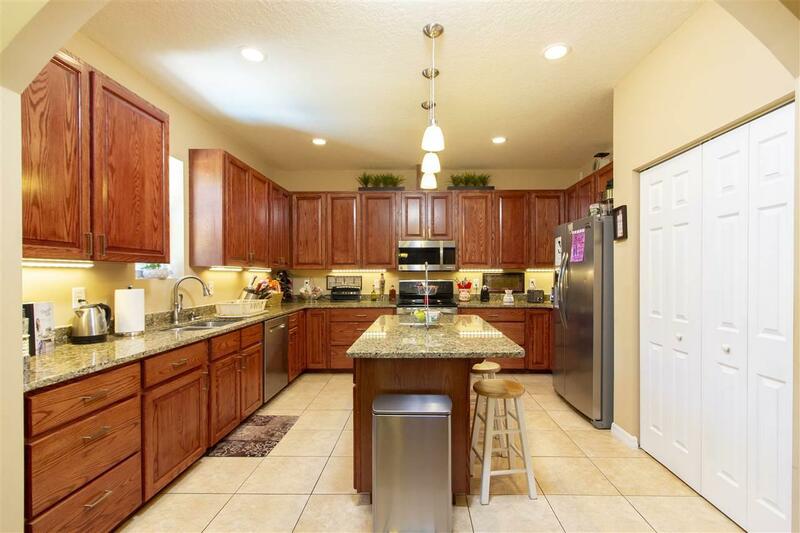 Granite countertops throughout home. 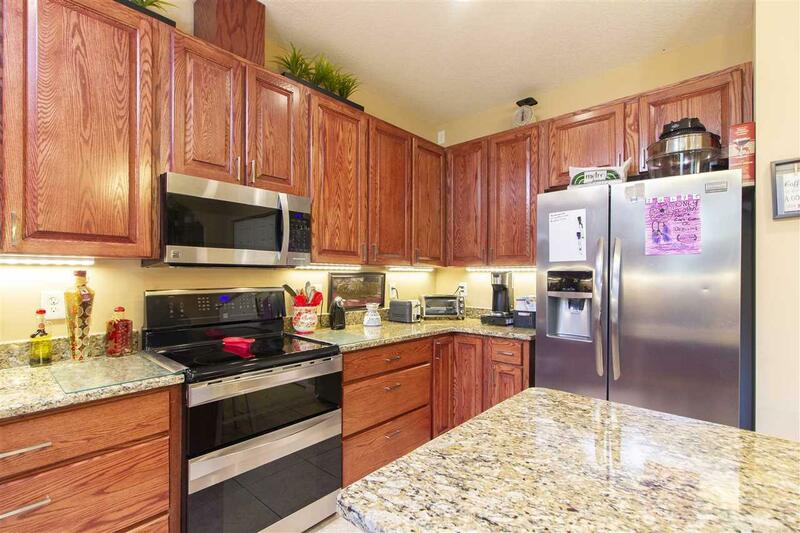 The highest quality stainless appliances with double oven and vented microwave. Reinforced glued and screwed centrally positioned 5X7 Safe Room which includes fire rated Liberty safe. Shooting berm on rear of property. 20 minute drive to downtown St Augustine, shopping at the St Augustine Outlet mall or 40 minute commute to Jacksonville.